We love hobo packs around the campfire, aka foil-pack meals! All wrapped up in heavy duty, pre-oiled foil. Unlike in the video, we don’t recommend throwing your foil packs on a fire with high flames. Let your flame burn down to hot red embers and then add your foil pack. Or better yet, set on a low grill over the fire. 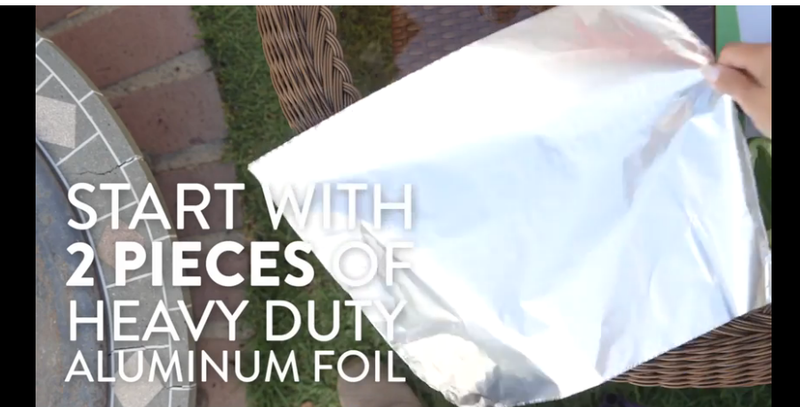 Double wrap foil to avoid burning and transport in heavy-duty ziplock bags to avoid leakage in your cooler! Why we love them: Prep them ahead at home! Don’t fuse with raw meat at the campsite and have your individual packs all pre-assembled BEFORE you depart!